I love this stone for a number of reasons. First of all, it's drop dead gorgeous. 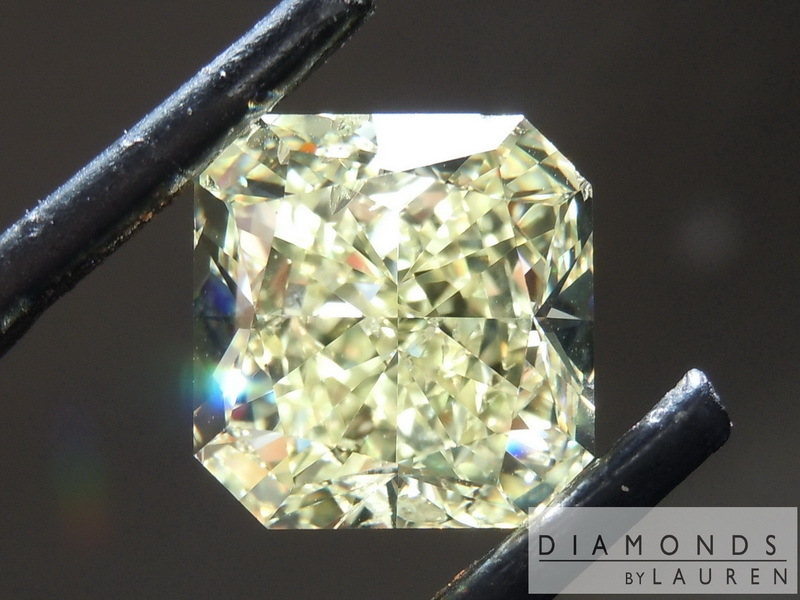 It is a near square radiant. 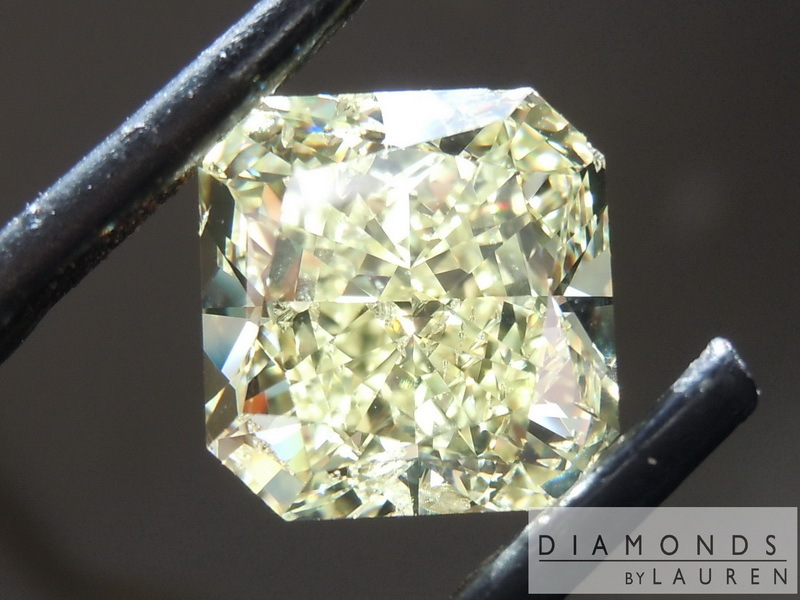 The cut is exactly as you want in a stone of this color - it's exceptionally well cut. The stone shimmers and sizzles from pretty much any angle- and with this much surface area, the effect s dramatic. 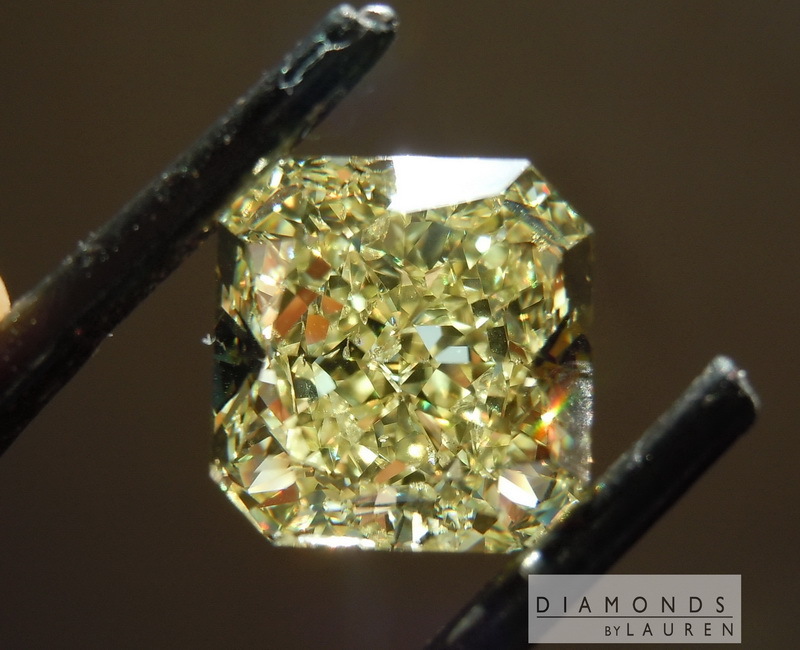 Plus, all this sparkle is a lovely lemon yellow. 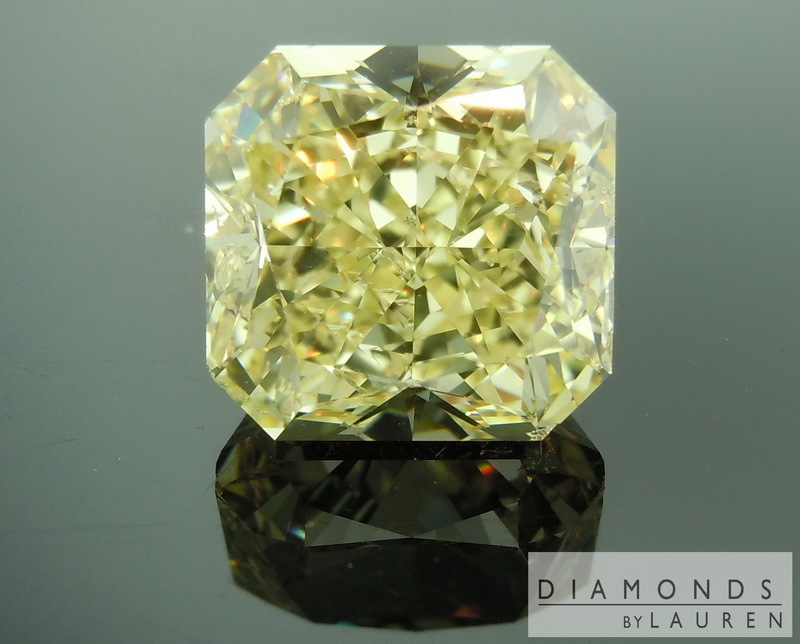 The diamond is a strong Fancy Yellow. About a 7 on a scale where 1 is close to Fancy Light Yellow, and 10 is close to Fancy Intense Yellow. 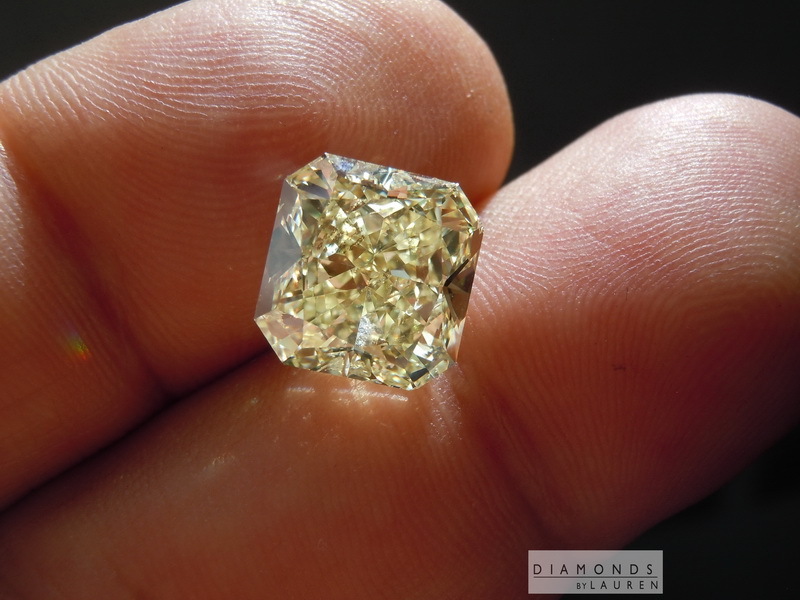 Once we get done setting it, the stone will look like a Fancy Intense Yellow. 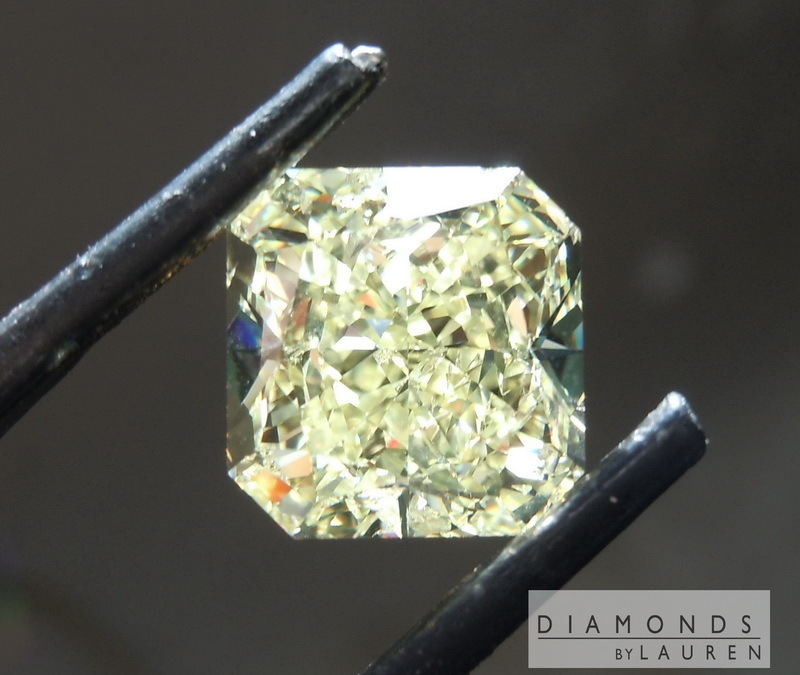 Okay, so the stone is an SI2 clarity. 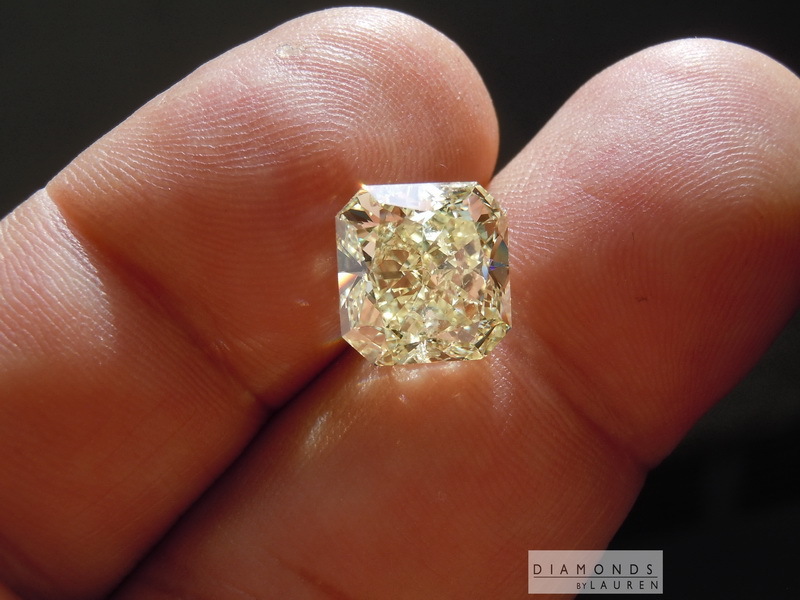 In this case, it is a totally eye clean diamond. 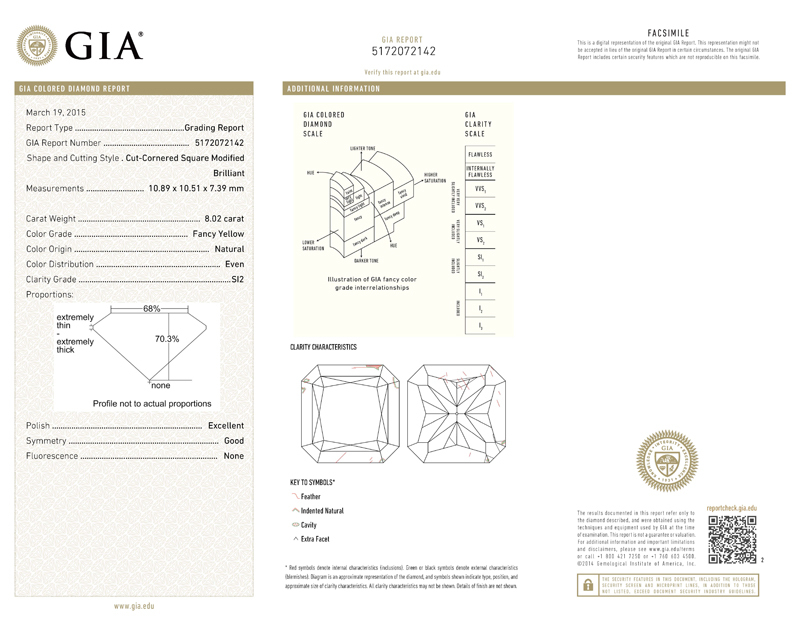 The imperfections causing GIA to give this grade are feathers, which are located in places that render invisible to the naked eye, and they pose no structural considerations. Leading me to the second aspect of this stone that makes it so nice. The price. 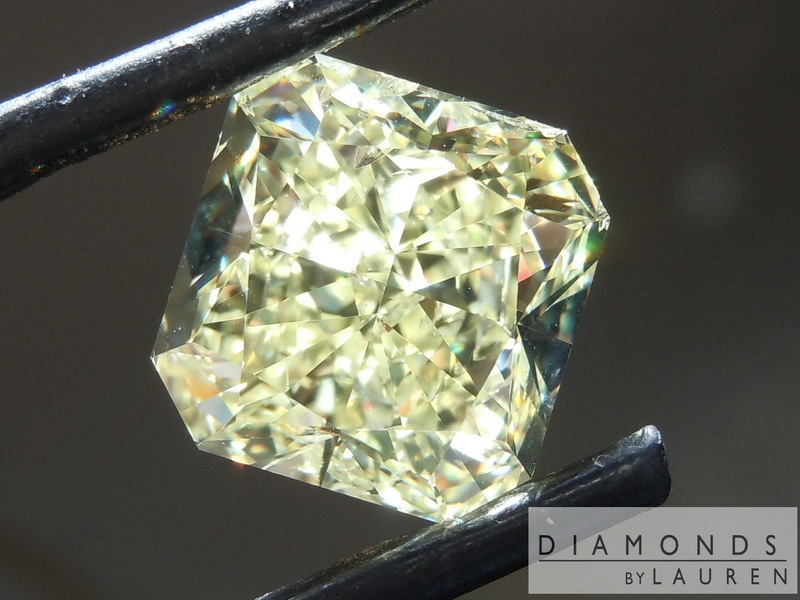 It is pretty much priced like a six carat due to the clarity. 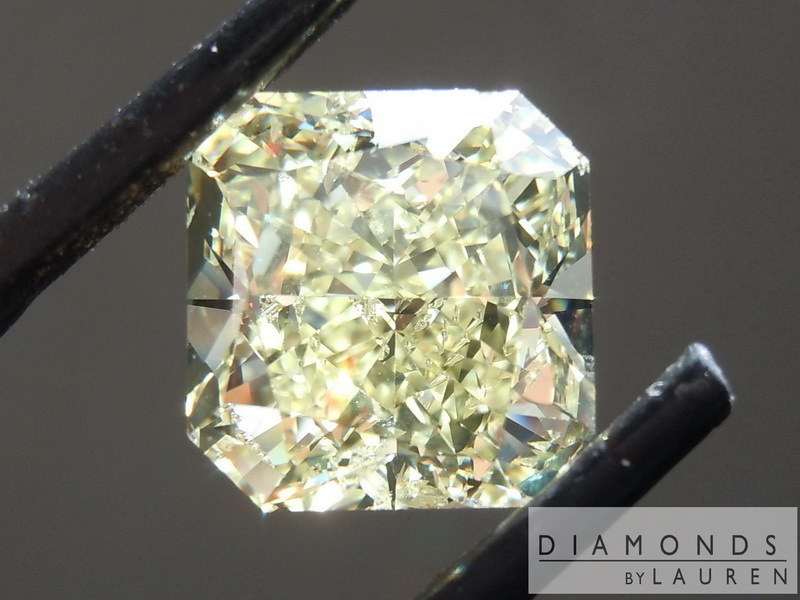 The diamond is priced with a Hand Forged Uber Halo.